This morning I got up knowing the full context of that weird dream that I had. It had nothing to do with the dude. For real. It was more about a lot of things I’ve been thinking and feeling about the current state of my life, how I have a lot to accomplish and feel so limited that at moments, I wish I could hit a start button and just get a factory reset on my life. Wouldn’t that be great? Then I remembered that there are so many lessons that I’ve learned and so many ways that I have grown through the adversities and mistakes of my past. I don’t want to relearn all of that stuff, so I guess, I’ll breathe and continue with the life and limitations I have. I wouldn’t trade everything I’ve learned over the years for a factory reset, as enticing as that sounds. 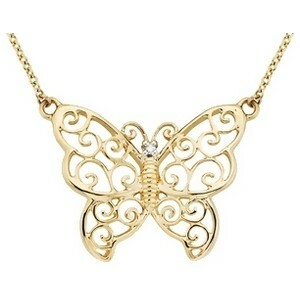 That butterfly charm is gorgeous.